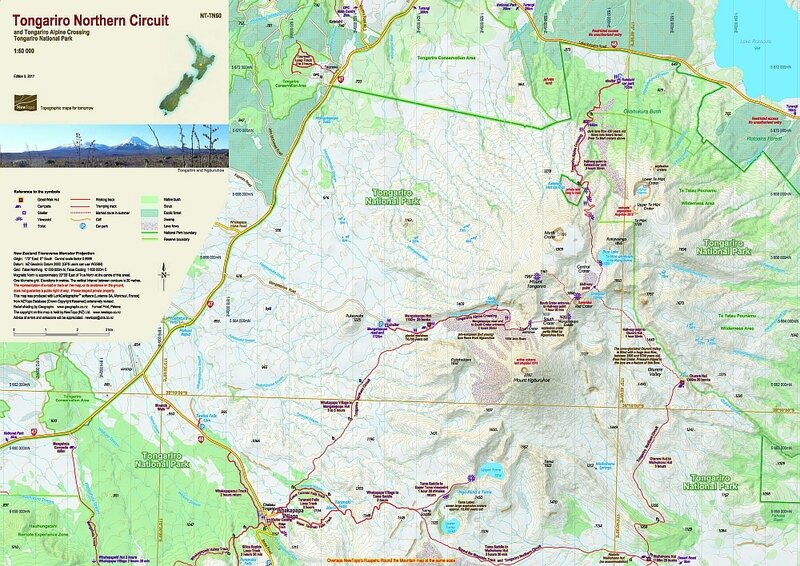 This map shows the route of the popular Tongariro Northern Circuit tramp, Tongariro National Park, in its unique volcanic environment at a scale where all features can be identified, increasing both the enjoyment and safety of walkers. The combination of the large scale, twenty-metre contours and relief shading, gives a realistic landform. Overlaps the Ruapehu Round the Mountain map to the south at the same scale.